Human embryo cloning begins with a standard In vitro fertilization process (IVF). Sperm and an egg cell are mixed together on a glass dish. After conception, the zygote (fertilized egg) is permitted to advance into a blastula (a hollow mass of cells). The zygote divides first into two cells, then four, then eight- in that sequence. A chemical is added to the dish to take away the "zona pellucida" covering. This material delivers nutrients to the cells to support cell division. With the covering removed, the blastula is divided into separate cells which are placed on distinct dishes. At that point they are layered with an artificial "zona pellucida" and allowed to divide as well as mature. The experiment by Sillman et al. demonstrated that the best outcomes could be acquired by interfering with the zygote at the two cell stage. Various pairs of zygotes were each able to develop to the 32 cell stage but delayed at that point. They could have had the potential to change further then even settle into a viable fetus, excluding the fact that the original ovum was flawed and would have died anyway. For principled reasons, the researchers had selected embryos which had no probability of ever maturing into fetuses and therefore becoming newborn babies. A new stem cell discovery in 2013 has resuscitated controversy about human cloning. The parallels between the animal-cloning procedure and the new human one have triggered this concern. However, technical challenges denote that scientists are far-off from being able to produce human babies. The scientists in the study attempted to treat diseases of the cell's powerhouse: the mitochondria and to refine the technique. This was the same one used in 1996 to create the cloned sheep Dolly. The U.S. Conference of Catholic Bishops (USCCB) promptly delivered a statement condemning the investigation. This was indicated both by virtue of those embryos that were destroyed in the research development and over the distress that the full reproductive cloning of humans is likely. "They or others may be close to being able to develop cloned human embryos to the fetal stage and then beyond," alleged Richard Doerflinger, the associate director of USCCB's Secretariat of Pro-Life Activities. According to an ethical debate about human cloning, John Gearhart, the director of the Institute for Regenerative Medicine at the University of Pennsylvania, stated "Nobody in their right mind would want to do that". This meant the scientific creation of human children. When I asked Paul Cooijmans his views on human cloning, he declared, "My opinion so far is that cloning, when technically possible, should be used to reproduce geniuses (their genetic material should be stored for that purpose now already). This would be good because cloning is the only way to retain a precise genetic configuration, and the genetic configuration of genius gets lost in normal sexual procreation (children of geniuses are mostly not geniuses).The idea is that genius rests on so-called "configural inheritance", so on a precise synergistic configuration of genes; if only one thereof is missing, it does not work. This has to do with "epistasis" (a gene influencing the expression of another gene). Hans Eysenck for instance writes about that in his book "Genius". For everyone else, cloning is not the way to go, and sexual procreation is better. An alternative for cloning would be to produce very many children, like a hundred or more, of a genius via gamete donation and sexual procreation, hoping there would be one new genius among them. I have no religious objections to cloning. I do think it would be bizarre to clone other than only exceptional people, for it would mean a genetic standstill. I am an atheist". Cloning of embryos has been utilized in rodent experiments since the late 1970's, and in animal rearing since the late 1980's. The practice tears a single fertilized ovum into two or more clones, each of which is then implanted into the womb of an interested female. On the other hand, exploration into cloning of human embryos has been limited in the United States and in some other countries. Pro-life assemblies which are in conflict with free access to abortion have had considerable governmental influence. All human embryo research was forbidden by the Reagan and Bush Presidencies throughout most of the 1980's in addition to into the early 1990's. During the first few days of President Clinton's presidency, the prohibition on public funding of human embryo and fetal research was raised. Evidently, it may not be known who is the global citizen or team that first performed cloning of human embryos. The techniques utilized have been implicit for many years as they duplicated embryos in livestock and sheep. It is possible that somebody had efficaciously used the scheme on a human embryo secretly. The first publicly broadcasted human cloning was completed by Robert J. Stillman and his squad at the George Washington Medical Center in Washington D.C. They picked up 17 genetically damaged human embryos which would have died within days even if they were treated. They were gathered from an ovum that had been fertilized by two sperm cells. As a consequence, an additional set of chromosomes doomed the ovum's future. It was seen that not one could have advanced into a fetus. These ovum were successfully split in 1994-OCT, all generating one or more clones. 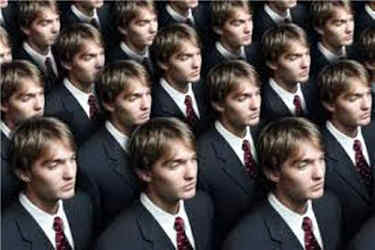 The main intention of the experimentation appears to have activated public dispute on the ethics of human cloning. A better understanding of the reasons of miscarriages; this might introduce treatment to avoid unprompted abortions. Consequently, this would be of immense support for women who cannot bring a fetus to the span. It might lead to the comprehension of the mechanisms by which a Morula (a mass of cells that has developed from a blastula) fastens itself. This has the capacity to generate new and actual contraceptives that reveal very few side effects. The rapid progression of the human morula is comparable to the rate at which cancer cells propagate. Cancer researchers have confidence in the notion that if a system is found to end the division of a human ovum, then a technique for terminating the growth of a cancer might also be created. When the gene or genes that determine sexual orientation are located, cloning may perhaps similarly be approved to eliminate zygotes of a particular sexual orientation. A country might fund a program like in Nazi Germany where humans were bred to make the most of certain traits. As soon as the "perfect human" was technologically advanced, embryo cloning could be used to reproduce that creature and imaginably produce unlimited quantities of clones. The identical approach could be operated to generate a "genetic underclass" for exploitation: e.g. persons with sub-normal intelligence and above normal strength. There is constantly the likelihood of harming or killing embryos. Most pro-life supporters accept as true that an embryo is a human being. For the period of embryo cloning, they would be exposed to assault with the risk of being murdered. They also have deliberated that the embryos would be treated as a product to be exploited, not as a person.